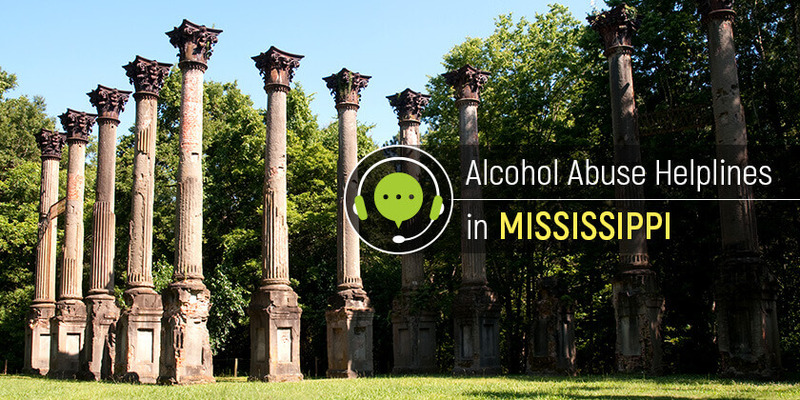 Speaking to a professional through any of these alcohol recovery helplines will be a helpful experience for the Mississippi residents struggling with alcohol use disorders. Delphi Health Group connects you with professionals who will provide counseling, information, and treatment advice for recovery from alcohol addiction. Representatives are available any time to speak with callers confidentially. Services offered by DHG are covered by insurance and callers can get connected to addiction experts and programs for the treatment of alcohol dependence. Call the alcohol abuse hotline (866)-520-2708. The Mississippi Department of Mental Health, through the Bureau of Alcohol and Drug Services, provides a state-wide network of state-operated treatment facilities, community mental health centers, and other treatment programs for people with alcohol and substance abuse issues. The Department provides preventive, treatment, and rehabilitative services to people who struggle with alcohol addiction issues. It also provides emergency services, residential treatment services, and vocational counseling for clients. Contact the hotline by dialing the alcohol abuse helpline 1-877-210-8513 for free. The NCADD Hopeline provides access to the best professional help and alcohol rehabilitation facilities nationwide. There are over 90 treatment facilities affiliated to the organization. Call this national alcohol abuse hotline on 1-800-622-2255 to get a referral to one of them. These alcohol abuse hotlines connect callers to the tools, resources, and information needed to get started on the road to recovery. Pick one and start a new sober life.